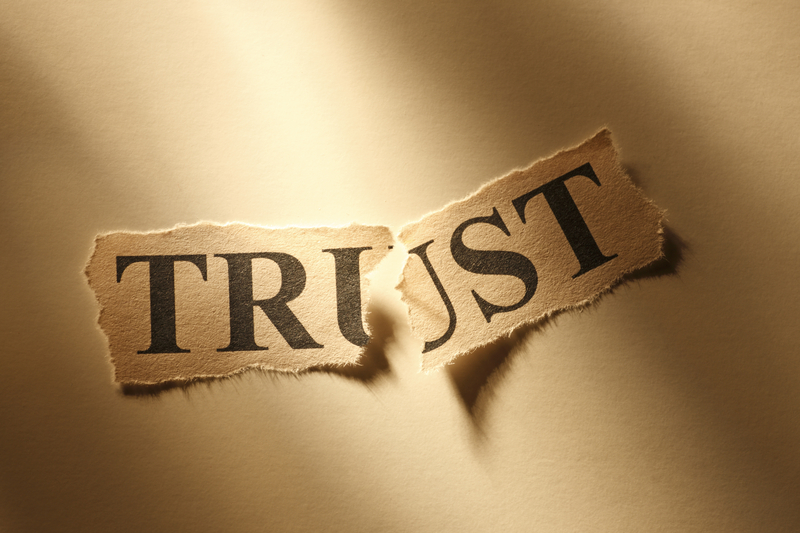 Is Trust in Our Physicians Misplaced? After discovering a lump in her breast, Garcia went to see Dr. Ahmad Qadri, a board-certified medical oncologist/hematologist who had been in practice for more than twenty years. Upon his recommendation, Garcia had a lumpectomy whereby the tumor was excised and examined. As the weeks following her surgery passed with little news from her physician, Garcia’s anxiety began to build. Then came the call: Dr. Qadri informed Garcia that she was suffering from Stage IV breast cancer. [ii] Cure would not be an option, and her only hope of prolonged survival would be through a debilitating regimen of chemotherapy. In her mind, Garcia had no choice but to trust Qadri’s diagnosis and treatment recommendation. She would spend the next seven months getting her affairs in order while enduring eight rounds of chemotherapy. [iii] Just as the harsh chemo agents took a toll on her physical body, the prospect of a dramatically shortened life damaged her psyche. By the time treatment ended, Garcia was sufficiently anxious and depressed that she sought medical help for these symptoms. A flood of emotions swept over Garcia. She was tremendously relieved to have the death sentence lifted yet simultaneously angry at the tumultuous journey she had been made to endure by a physician’s incompetence. Dr. Qadri had misread the pathology report on Garcia’s tumor. [vi] It was benign . . . not cancerous. Had Garcia’s case been presented in a tumor board, which is standard procedure in many cancer centers, the findings, prognosis, and treatment plan would have been critiqued by an interdisciplinary group of physicians. It’s hard to imagine that the error would not have been detected almost instantly. But Garcia was not so lucky. No one was looking over the shoulder of Dr. Qadri. Nor did Garcia think to question him or seek a second opinion . . . She put her full faith and trust behind her doctor and prayed that somehow she would make it through the ordeal. Medical errors are commonplace. Sometimes they are an almost inevitable consequence of the complexities of medicine intersecting with the fallibility of human beings. Other times, however, they are due to incompetence, impairment, or other preventable factors that put patients in harm’s way. I’ve watched as a surgeon, who was too drunk to operate, left a bar and headed straight to the OR in response to a call. I’ve watched the calamitous impact of a fire breaking out in an OR suite and injuring the patient. And I’ve been privy to the egregious errors reviewed in medical executive committees where the discussions would remain safely ensconced in a veil of secrecy. The trust we place in our physicians is part of the very foundation of American medicine. Unlike other professions, in medicine trust does not have to be earned by its practitioners. Rather, it is bestowed on every doctor upon earning their MD. Implicit trust in our doctors is like a curtsy or bow in the presence of royalty. Based on what we know today, this blind trust is not only unwarranted, it is dangerous. What is called for in its place is respectful discernment on the part of the patient and the expectation of collaboration when determining what care is required. Unfortunately, that’s easier said than done. Why do physicians enjoy a uniquely privileged role in our society—a role in which their life-and-death decisions are beyond public scrutiny? For three primary reasons—beginning with a need that is inherent in humankind: our need to believe in the power of a privileged caste to shield us from life’s suffering while keeping death at bay. In primitive societies, it was the role of the shaman. In contemporary societies, that power has been bestowed on physicians. Second, American medicine has solidified its cultural foothold by taking an already horrifically complex field and further ladening it with a unique brand of jargon—demanding a skilled translator. Medical jargon serves to reinforce our belief in the discipline’s scientific rigor while simultaneously rendering its clinical observations and treatment recommendations impenetrable to mere mortals. A sweaty patient is diaphoretic. A patient with no appetite is anorectic. And a dead patient, similar to a parking meter, has expired. The implied argument is that surely individuals scholarly enough to discern meaning in these arcane terms are due respect. Finally, much of the power enjoyed by our doctors is a testament to the extraordinary efforts of the American Medical Association. Over more than a century, the AMA has worked relentlessly to convince us of the impeccability of its scientific practitioners while trampling any competing schools of thought or methods of healing. Homeopathy, osteopathy, chiropractic, Chinese medicine, and other forms of “alternative healing” have struggled to establish legitimacy under the reign of the AMA. If we put aside the issues of catering to our human frailty, masking the simple in the arcane, and lobbying to ensure the power of their profession, the question still remains, Are physicians due our respect? For the vast majority of doctors, the unequivocal answer is yes. It is respect that is hard earned through years of personal sacrifice during medical training and practice. You can often identify these physicians by their humility. For some, humility is born from staring death and disease in the face while realizing the limitations of their art to intervene. For others, it is rooted in compassion and respect for their patients. For the minority, however, the answer is no, for they have broken their sacred covenant to “bear a fiduciary trust in regard to their patients’ health-care needs . . . physicians agree to place their patients’ health before any other outcome or goal and swear an oath to act as their patients’ health-care advocates.”[viii] In medicine, a few bad apples can indeed spoil the lot. As we shall see, medicine has done an abysmal job of culling out the bad. If you would like to continue reading, you will find the conclusion of Chapter 5 in The Myths of Modern Medicine: The Alarming Truth About American Health Care – available at Amazon.com. [i] Pam Stephan, “Herlinda Garcia Survived Stage 4 Breast Cancer Misdiagnosis,” About.com, July 24, 2013, http://breastcancer.about.com/b/2013/07/24/herlinda-garcia-survived-stage-4-breast-cancer-misdiagnosis.htm. [ii] “Cancer-Free Woman Undergoes 7 Months of Chemotherapy after Misdiagnosis,” FoxNews.com, July 18, 2013, http://www.foxnews.com/health/2013/07/18/cancer-free-woman-undergoes-7-months-chemotherapy-after-misdiagnosis/. [iv] Justin Caba, “Texas Mom’s Cancer Misdiagnosis: 54-Year-Old Herlinda Garcia Suffered 7 Months of Chemo, Damages Included Depression and Anxiety,” Medical Daily, July 17, 2013, http://www.medicaldaily.com/texas-moms-cancer-misdiagnosis-54-year-old-herlinda-garcia-suffered-7-months-chemo-damages-included. [viii]Brent C. James and Elizabeth H. Hammond, “The Challenge of Variation in Medical Practice,” Archive of Pathology and Laboratory Medicine124, no. 7 (July 20001001 http://www.ncbi.nlm.nih.gov/pubmed/10888775.